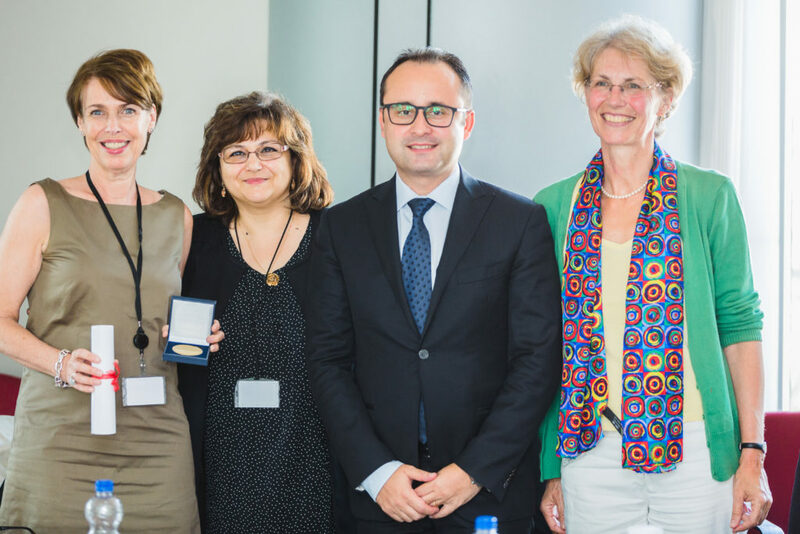 This year, Susanne Løgstrup, Director of the European Heart Network (EHN), was among the recipients of the WHO World No Tobacco Day (WNTD) award. The award was given to Susanne in recognition of her relentless efforts and wise leadership to fight the epidemic of tobacco and promote cardiovascular health. The World Heart Federation is delighted to work with Susanne in advocacy and tobacco given her experience and expertise in the fields, and we are honored to congratulate her on this outstanding award. Susanne has been with the EHN since 1995 and under her leadership EHN has become a strong advocate for tobacco control policies in the EU. Susanne was involved in lobbying for two EU Directives on advertising and sponsorship of tobacco products – the first was lost in court; but the second was successfully adopted in 2003. Equally, she was involved in lobbying for two tobacco products directives; her unflappable and professional commitment to the campaign to get the 2014 EU tobacco products directive adopted proved invaluable. Along with EHN member organisations, she has also lobbied for EU tobacco taxation. Over the next couple of years she and EHN will invest in the upcoming review of the EU tobacco excise duty directive with a view to strengthen current provisions. She has assured that EHN took part in and funded activities and research that could underpin an EU tobacco control policy framework. For the past 10 years, EHN has co-funded the Smoke Free Partnership (SFP) and Susanne has been President of the SFP since 2016. Previously, her role in the SFP Board was as Treasurer. Susanne was consulted on the WHF tobacco control roadmap, which was published in 2015. She is a member of the WHF Advocacy Expert Group and she expects this group will forcefully with the WHF’s Expert Group on Tobacco improve tobacco control policies so that no person anywhere in the world will fall victim to cardiovascular diseases because of tobacco use. To mark the 2018 WNTD, which was dedicated to cardiovascular diseases, and celebrate the awards, EHN together with the SFP organised an event in the European Parliament. It was hosted by a former Chair of the MEP Heart Group; a representative from the European Commission spoke as did a representative from WHO who also presented the WHO WNTD awards to three European recipients (on the photo). The event was endorsed by the WHF, the European Society of Cardiology (ESC) and the European Network for Smoking and Tobacco Prevention (ENSP).